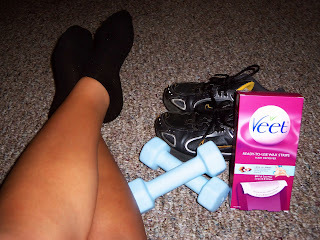 I tested the Veet ready-to-use wax strips that I received from the Latina Vox Box. I was extremely nervous to use, since I have never waxed. After reading the directions several times I decided to give it a try. After the first strip it wasn't bad at all and super painless. I have very sensitive skin and I didn't even break out! After about a week my legs are still super smooth and feel amazing. Even after working out I sit down just to feel my legs. I am in LOVE with Veet and will NEVER SHAVE AGAIN!!!! I will def be purchasing again! Want more information about these wax strips? Visit Veet's website or Facebook!